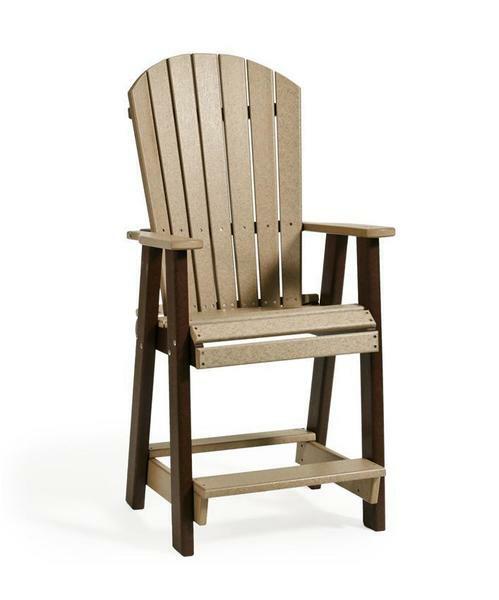 Our Amish made Outdoor Recycled Poly Counter Chair is the perfect choice for the balcony, pool or bar. Even works as a lifeguard chair. All of our outdoor furniture is proudly made in the USA. Pair a few of these poly counter chairs with the matching Amish Outdoor 60" Round Poly Counter Table. *Designed to pair with Poly Counter Height Tables.